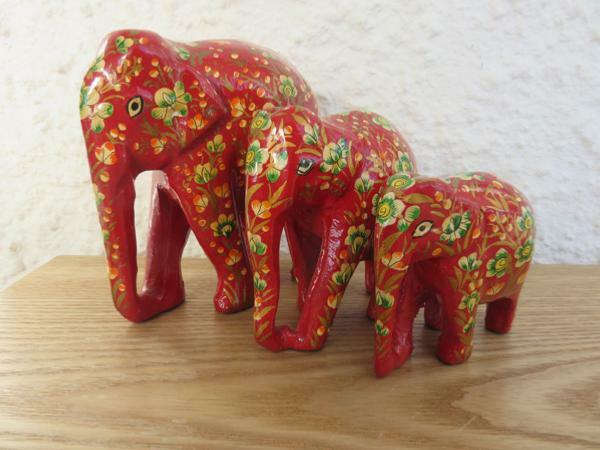 This item is a 'Family' of 3 Elephants - Large, Medium and Small in size. See below for precise dimensions. 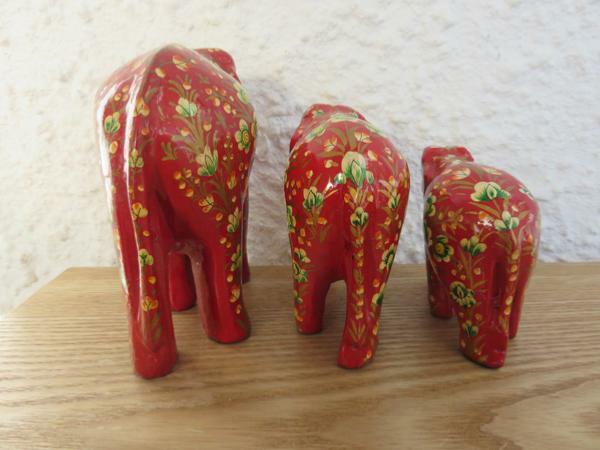 These are all painted mainly Red with many Flowers & Leaves. 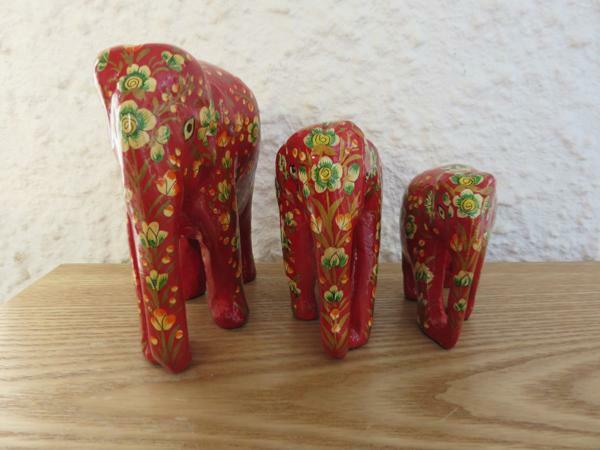 All 3 are finished with a protective lacquer coating.